Businesses that depend on their website for a large portion or even the entirety of their stream cannot afford to settle for less than optimal web design. What constitutes superior web design? The answer to that question is many-fold, but every design element must contribute to converting the traffic driven to your website by your online ads and SEO efforts and encourage heightened customer retention and satisfaction. Perhaps, the most basic and most crucial factor of all is that your website be fully accessible from all major web browsers, including mobile browsers. Unless your website is mobile Web responsive, you could be losing over half of your potential site visitors, and if Google Chrome, Firefox, Internet Explorer, Safari, or Android Browser does not function well with your site, you could easily discourage a tenth or more of would-be visitors. It is imperative that those who arrive at your website be able to quickly find what they are looking for and navigate it with ease. One strategy to simplify navigation is to use “hamburger” or “accordion” style menus in place of long drop-down menus. A site map is another possible solution. However it is accomplished, visitors should never feel “lost” or “trapped” among your webpages. Not only must people be able to find and navigate your site with ease, but once there, they should be confident they can safely use it. Using https will show you have been credentialed as the authentic site you claim to be. Including verifiable contact information, a clearly written About Us page, good grammar/spelling, and valid links will all also tend to increase customer confidence. Websites with high bounce rates, minimal time spent on the site, and few pages viewed per visit will have devastatingly low conversion rates. One reason for this poor performance is often slow loading times. Users should be able to load your pages quickly from any device and without perfect memory and Wi-Fi connection conditions. The dominance and multiplicity of social media platforms on the modern Web demands the attention of every small business’ website. The placement of social media buttons in prominent locations and posting recent Tweets/social media updates to pique interest are helpful. And adding your own social login to create a “user community” is often a great way to offer exclusive discounts and create customer loyalty. Many times, the only way to obtain visitors’ email or other contact data is to make them a special offer if they fill out a short form. However, forms that are not clearly labeled as to purpose, have too many fields to fill in, or ask for non-essential information are likely to be left blank. Optimizing form design is key to maximizing conversion rates. generate emails automatically after form completions, registrations, and order placements. Each page visited or product ordered can be linked to different emails that will make follow-up maximally relevant to each contact. Specialized remarketing software can help your recover some of your abandoned shopping carts, but far better to minimize their number to begin with. To get as many customers to the end of the check-out line, use as few steps (pages) as possible in the process, keep design simple and intuitive, and use progress trackers that show the would-be buyer’s previous, current, and next steps. Your website needs to be easy to read, using 14-point or higher fonts and unique, brand-specific icons. Using an “F” screen pattern for text also helps. This means putting the most important information toward the top and left of the screen since people read webpages the same way as books (top-to-bottom and left-to-right). Three final strategies are using a grid to create organization, using complementary colors to create harmony, and leaving plenty of white space to minimize clutter. 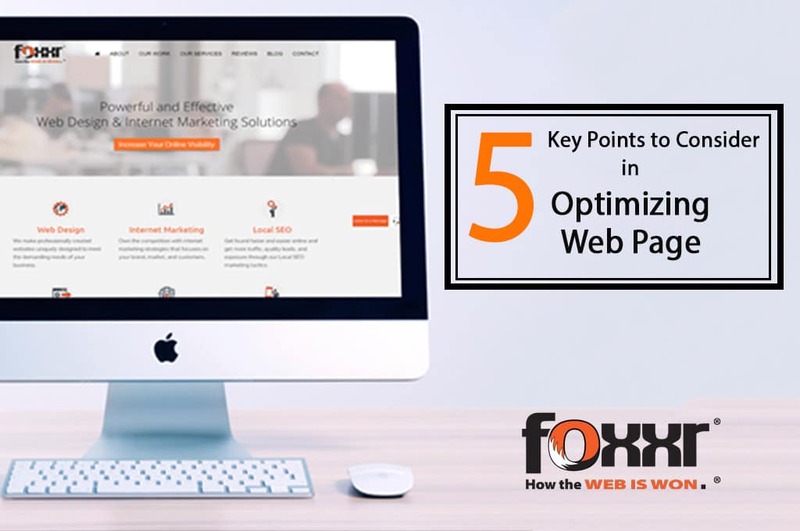 All of these 10 vital web design elements, and additional website optimizations, can be incorporated into your website via advanced web design software. As many business men/women don’t have the time to become expert web designers themselves, however, it is often best to rely on an experienced, proven web design company. Great tips!!! These tips can save lots of time for us designers which we can use in designing a different website. Thanks for the helpful article! This is the very first time I have checked out your website, and I have fallen in love with it. I’ve bookmarked it! I can see why someone would want to include accessibility in their website so any search engine can pick up the search results. I am thinking about starting a website myself so these tips were really helpful. I’ll be sure to make it easy to navigate as well so people can find the information they need without getting frustrated.